Ingrid Dillo studied history and wrote a PhD thesis at Leiden University on the Dutch East India Company. Ingrid is a generalist who over the last twenty-five years has mainly been active in the field of policy development. After a period as policy researcher at Research voor Beleid in Leiden she worked for many years as a senior policy advisor at the Dutch ministry of Education, Culture and Science and at the Koninklijke Bibliotheek, the National Library of the Netherlands. Ingrid is now deputy director at DANS (Data Archiving and Network Services). Among her areas of interest are research data management and the certification of digital repositories. Ingrid is active in the Research Data Alliance, the ICSU Word Data System and the Knowledge Exchange. 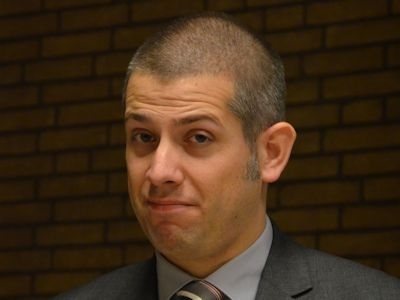 Peter Doorn is director of Data Archiving and Networked Services (DANS). He studied Human Geography at Utrecht University and received his PhD there. He taught Computing for Historians at Leiden University from 1985 to 1997. 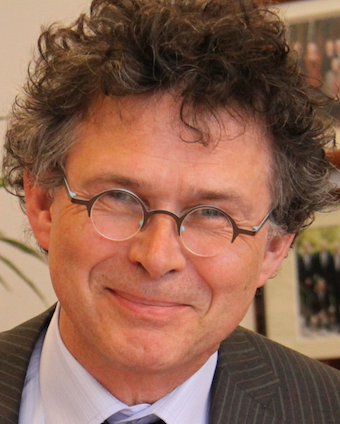 He was director of the Netherlands Historical Data Archive and head of department at the Netherlands Institute for Scientific Information Services (NIWI). 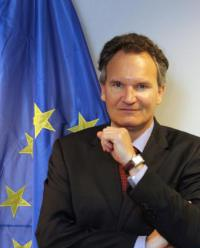 Robert-Jan Smits is Director-General of DG Research and Innovation. His previous assignment was Deputy Director-General of DG JRC where he was responsible for Programmes and Stakeholder Relations, Resource Management, and three Institutes, being the Institute for Energy, the Institute for Environment and Sustainability and the Institute for Prospective Technological Studies. Before that Mr. Smits was Director for the European Research Area: Research Programmes and Capacity at DG RTD, where his responsibilities included: Joint Programming, coordination of national research programmes, cooperation with intergovernmental research organisations (EIROforum, EUREKA, COST), Research Infrastructures, Regions of Knowledge, Research Potential and the relations with the European Investment Bank (EIB). Carl-Christian Buhr, an economist and computer scientist, since 2010 has been a member of the cabinet of Digital Agenda Commissioner and EU Commission Vice-President Neelie Kroes. Among others, Dr. Buhr advises the Vice-President on ICT research policy, high-performance computing and e-infrastructures. He was also closely involved in spearheading the Commission's policies on open access to research information and data. Previously he dealt with antitrust and merger control investigations by the Commission, such as the Microsoft antitrust case and the Oracle/Sun Microsystems merger. Prof. Barend Mons, Biosemantics Group at Leiden University Medical Center and Head of Node of ELIXIR-NL - Keynote "Bringing Data to Broadway"
Prof. Barend Mons is a molecular biologist-turned-bioinformatician and an expert in data driven computational knowledge discovery in the Life sciences. He is head of the Biosemantics Group at Leiden University Medical Center and Head of Node of ELIXIR-NL in the context of the Dutch Techcentre for Life Sciences. He is also Life Sciences Integrator in the Netherlands eScience Center and a member of various international initiatives. Most recently he co-founded the FAIRport initiative to enable the publication and Stewardship of Findable, Accessible, Interoperable and Re-usable (FAIR) data. When a local and amateur show is suddenly taken to Broadway, many new aspects emerge for which the local actors are usually not ready. Not only the singers and the dancers need to be of top quality, but the logistics are of an entire different level of complexity. Data stewardship is in a similar transition. Local, amateur, but reasonably satisfactory, solutions suddenly face globally reusable datasets that will serve discovery for years to come. These need to be Found, Accessed and (machine) Interoperable to be actually re-used. RDA will need to guide this process to fulfill its perceived mandate. Barend will address some of the associated challenges.